October 19, 2017 By amber Your World! Now looking back I think that was the biggest disappointment of my life because I would almost be done with school, have no student loans, and still be in shape! But I just have to remind myself that everything happens for a reason. So, with school out of the equation, I decided to pack my bags and move out at just nineteen. I moved to Tennessee and lived on my own for a year and a half. I went to a completely different state to be “independent”. I learned quite a bit and realized the responsibilities that came with it. I was paying for rent, utilities, car payment, car insurance, and day to day expenses like gas, groceries, and personal spending money. I survived just fine but I wanted to do something more with my life than just earn minimum wage and live paycheck to paycheck. Needless to say, I moved home but I would definitely have to chalk that up as my greatest accomplishment thus far. In a perfect world, my career goals would be to get through school and open a salon that caters to special needs children. I have worked with special needs people growing up and fell in love with helping others who can’t help themselves. There is just something about seeing someone light up and smile just because you gave them attention. My last job I was a support specialist where I assisted individuals that had autism, down syndrome, cerebral palsy, and many other needs. Watching them grow and seeing how their minds work was an experience I will never forget. They taught me how to see the world through their eyes instead of through ours. Just for fun I would brush individual’s hair and put some makeup on them and the reaction of them seeing themselves in the mirror is something I can never forget. So being able to do that for a living doesn’t seem like a job to me and Paul Mitchell is the only way I see it happening. When I lived in California I went to the Paul Mitchell School in downtown San Diego I knew from then on I wanted to go to school for cosmetology. Paul Mitchell is the only way, in my eyes, to learn everything I need to know to accomplish my goals of opening my own salon. Right here is where my daughter’s letter ends, so I will pick it up and bring it current: She did attend the Paul Mitchell school here in Michigan, she worked her way to one of the top students promoted to the “Phase 2” program which was limited to only a few talented students. After graduation, Kierstin was invited to go out to California and work with Kelly Cardenas at his salon, but in the end, she decided to stay in Michigan. 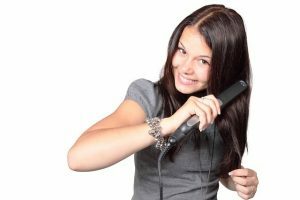 After a year of working at a local salon, she started to discuss the option of going back to college. After a lot of talk and soul searching she made the decision to return to college. I think as a parent this was the only option I was going to accept if she was going to walk away from a career in hair styling. As of today, she is attending college, cutting hair and Nanning on the side. So far life is good, let’s see what happens!